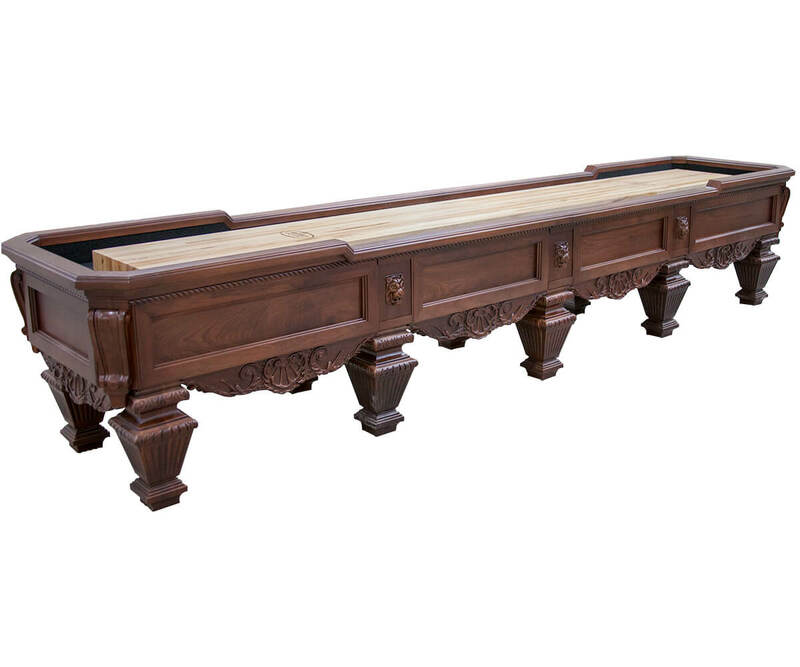 The Trafalgar is made with Walnut and the lions heads, legs, aprons are all carved by master wood carvers, We meticulously designed this table to match a pool table that a friend first designed in the Billiard industry in the late 70's. 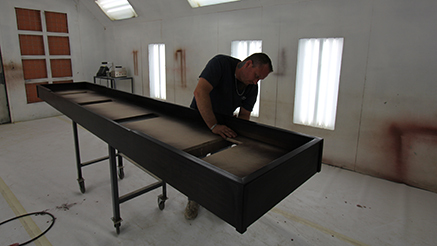 We use the same name he gave his pool table as his company is no longer in business but the style of this table you may recognize other builders still make similar pool tables today. This cabinet to accommodate the large legs is wider than most at 35" in total width. We typically use 3 legs on the 12 foot to the 16 foot size models. We offer the 18 to 22 foot models with 5 legs as shown here. The Malibu also features a 20" wide and 3" thick playing surface that is made from the high-quality North American hard maple. The playing surface is sealed with a specially formulated finish that has a lifetime warranty. 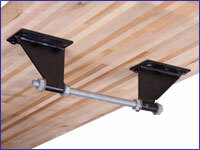 The Malibu Shuffleboard table comes with 8 shuffleboard pucks and 1 can of wax. 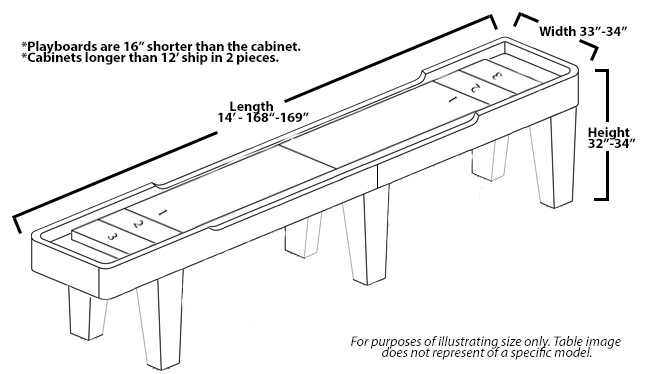 There are also several additional features you may purchase for your shuffleboard table during the checkout process, including dining tops, electronic scoreboards, and table covers.